CROATIA osiguranje (CO) has announced on 23 January that both agreements concluded in June last year, to acquire through its Bosnian subsidiary the full ownership of the Bosnian Testing Center LLC and the CENTRAL INSURANCE company, are canceled. 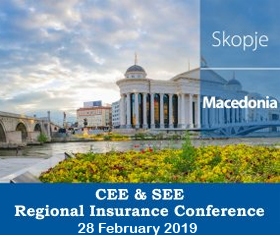 SAVA Re was granted the Croatian Financial Services Supervisory Agency's approval for the direct acquisition of the control ownership package (over 50%) of the Croatian subsidiaries of ERGO, namely ERGO Insurance and ERGO Life Insurance, both domiciled in Zagreb. AXA XL announced that it has completed the transfer of its EU insurer - XL Insurance Company SE, from the UK to Dublin, Ireland. Generali has launched on 21 January a subordinated bond with a 10 years bullet format targeting institutional investors for an overall amount of EUR 500 million. At the initial yield guidance of 4.625%, the issuance attracted around 450 orders for more than EUR 6.5 billion, more than 13 times the target size. Re/insurance broker Aon has estimated that the re/insurance industry will incur USD 90 billion of catastrophe losses in 2018, or around 40% of the total USD 225 billion economic cost, according to Weather, Climate & Catastrophe Insight: 2018 Annual Report. Corporate insurer Allianz Global Corporate & Specialty SE (AGCS) targets growth in Asia with new India reinsurance branch. MTPL loss ratio in Armenia in 2018 increased from 65% to 72.5%, based on the data of the Armenian Bureau of Motor insurers. On February 7, 2019 the law on compulsory MTPL insurance will come into force in Kyrgyzstan, as the State Service for Regulation and Supervision of the Financial Market under the Government of the Kyrgyz Republic informed. Personal insurance lines in Ukraine are showing a rapid growth. In 3Q2018 GWP from individuals amounted to UAH 13.39 billion (+20.5% y-o-y), as Forinsurer wrote. The deputy general director of Turkmengosstrakh - Dovletmyrat GULMYRADOV was appointed as the acting General Director of this single insurance organization, as the State information agency of Turkmenistan announced on January 21 with reference to an official decree of the President of the country. 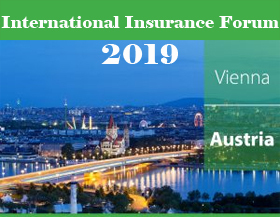 The Motor Insurance Conference and the Property Insurance Forum, two of XPRIMM's well know specialized events, taking place under the International Insurance Forum brand, will be hosted, once again, by the capital city of Austria. All major plans and expectations of Belarusian insurers are focused on the adoption of new legislation in insurance, which has been under review and consideration by the government for two years. It may safely be said that in 2019 it will finally be signed. Insurance should be accessible to all social classes, regardless of their wealth and income status. 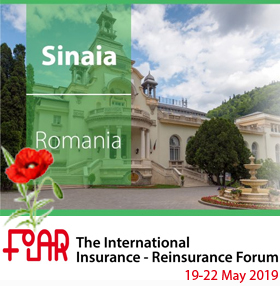 Products offered today are conventional insurance products, largely inspired from the developed markets as "one-size-fits-all" solutions, affordable to only middle- and high-income clients in the Eastern Europe's emerging & developing markets. The low insurance penetration rates across the region show the need for another approach.